Audi A8 D2 Front NS Left Seat Belt Cream PF. Donor Car: 1997 Audi A8 D2 PF 4172cc Quattro. The New and Used Audi Parts Specialist for all Audi models worldwide. It may fit others. Donor Car Colour: Bodywork is Ming Blue LZ5L. Donor Car: 2008 Audi A8 D3 FL 3000cc Quattro. The New and Used Audi Parts Specialist for all Audi models worldwide. It may fit others. Generic Notes on this Part: Colour code is 5J1 Silver and Suits Interior Codes LU LX KK KU KE. 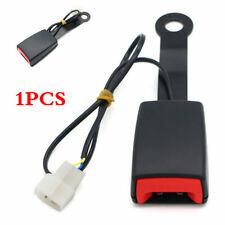 Audi A8 D2 Front NS Left Seat Belt Black. Donor Car: 2000 Audi A8 D2 FL 4172cc Quattro. The New and Used Audi Parts Specialist for all Audi models worldwide. It may fit others. Audi Part Number: 4D0 857 705 AC. Audi A8 2012 - 2017 Seatbelt Passenger side N/S Repair Service. Models : 2012 - 2017. This service involves you sending your seatbelts in to us with your full details inside with the parts. Did you know we our warehouse is in Leicestershire, you can collect or we may be able to drop off?. BREAKING FOR PARTS: AUDI A8 D3 4.0TDI 6 SPEED AUTO QUATTRO SALOON 2004. All our parts are used second hand and off the shelf so may have storage marks on them. MAKE SURE THE PART NUMBER MATCH WITH YOUR OLD PART. Donor Car: 2000 Audi A8 D2 FL 4172cc Quattro. The New and Used Audi Parts Specialist for all Audi models worldwide. It may fit others. Audi Part Number: 4D4 857 740. 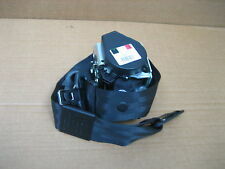 Audi A8 D2 NS Left Rear Seat Belt Brown FL. Donor Car: 2000 Audi A8 D2 FL 4196cc Quattro Sport. The New and Used Audi Parts Specialist for all Audi models worldwide. It may fit others. Audi Part Number: 4D0 857 805 B. THIS ITEM HAS BEEN REMOVED FROM A 02 09 AUDI A8 QUATTRO D3 4DR SALOON. 1 PLUG 2 PIN CONNECTION. ALL OF OUR PARTS ARE USED PARTS! SEE PICTURES TO COMPARE YOUR PART WITH OUR ITEM. NO PART NUMBER. ALL ENGINES SOLD ARE SOLD AS BARE ENGINE HEAD & BLOCK - ANY ANCILLARIES LEFT ON THE ENGINE ARE NOT TESTED. Donor Car: 2002 Audi S8 D2 FL 4200cc Quattro. The New and Used Audi Parts Specialist for all Audi models worldwide. It may fit others. Audi Part Number: 4D0 857 806 C. Donor Car Colour: Bodywork is Avus Silver. Donor Car: 2008 Audi A8 D3 FL 3000cc Quattro. The New and Used Audi Parts Specialist for all Audi models worldwide. It may fit others. Audi Part Number: 4E0 857 807 E. Donor Car Colour: Bodywork is Silver LX7W. FOR SALE GENUINE AUDI A8 D3 FRONT PASSENGER LEFT N/ SIDE SEAT BELT PRETENSIONER 4E2857705. REMOVED FROM AUDI A8 D3 RHD MODEL. ITEM IS IN GOOD CONDITION. Audi A8 D2 Front OS Right Seat Belt Grey FL. Donor Car: 1999 Audi S8 D2 FL 4200cc Quattro Sport. The New and Used Audi Parts Specialist for all Audi models worldwide. Donor Car Colour: Bodywork is Black LZ9W. Donor Car: 2004 Audi A8 D3 3000cc Quattro Sport. Generic Notes on this Part: Colour code is QAD Cream Beige and suits interior codes LW and KW. The New and Used Audi Parts Specialist for all Audi models worldwide. 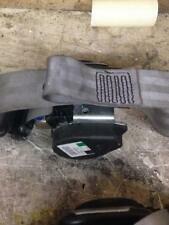 Audi A8 D2 Rear Centre Seat Belt Grey FL. Donor Car: 2001 Audi S8 D2 FL 4172cc Quattro Sport. The New and Used Audi Parts Specialist for all Audi models worldwide. Donor Car Colour: Bodywork is Grey LY7L. Audi A8 D2 Rear OS Right Seat Belt Cream. Donor Car: 1998 Audi S8 D2 PF 4172cc Quattro Sport. The New and Used Audi Parts Specialist for all Audi models worldwide. It may fit others. Audi Part Number: 4D0 857 806 B. Removed from a 2007 Audi A8 3.0 230Bhp - 4 Door Saloon - Diesel - 6 Speed Automatic - Engine Code ASB. Seat Belt Front Reel RH. A8 2005 To 2010. “Great Bridge Parts” has high reputation for both quality and service and believes itself to be the market leader in vehicle recycling in West Midlands. Donor Car: 1999 Audi A8 D2 FL 3697cc Quattro Sport. The New and Used Audi Parts Specialist for all Audi models worldwide. It may fit others. Audi Part Number: 4D0 857 807. Audi A8 D2 Front NS Left Seat Belt Blue. Donor Car: 1998 Audi A8 D2 PF 4172cc Quattro. The New and Used Audi Parts Specialist for all Audi models worldwide. It may fit others. Audi Part Number: 4D0 857 705 R.
Audi A8 D2 PF Seat Belt Buckles Rear Pair. Donor Car: 1997 Audi A8 D2 PF 4172cc Quattro Sport. The New and Used Audi Parts Specialist for all Audi models worldwide. It may fit others. Audi Part Number: 4D0 857 739 H.
Seat belt buckles removed from an Audi A8 W12 on a 2005 plate. In good working order. Audi A8 D2 Rear Single Buckle Platinum FL. Donor Car: 2002 Audi S8 D2 FL 4200cc Quattro. The New and Used Audi Parts Specialist for all Audi models worldwide. Audi Part Number: 4D0 857 740 M. It may fit others. Donor Car: 1995 Audi A8 D2 PF 4172cc Quattro. The New and Used Audi Parts Specialist for all Audi models worldwide. It may fit others. Donor Car Colour: Bodywork is Green LZ6U. Interior trim is Cream N3Q/BW. Removed from a 2007 Audi A8 3.0 230Bhp - 4 Door Saloon - Diesel - 6 Speed Automatic - Engine Code ASB. Seat Belt Rear Reel LH. A8 2005 To 2010. “Great Bridge Parts” has high reputation for both quality and service and believes itself to be the market leader in vehicle recycling in West Midlands. 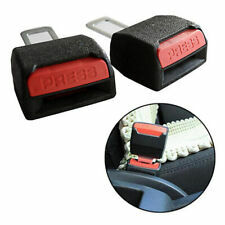 Audi A8 D2 Rear Seat Belt Buckles Pair. Donor Car: 1996 Audi A8 D2 PF 3700cc Sport. The New and Used Audi Parts Specialist for all Audi models worldwide. It may fit others. Audi Part Number: 4D0 857 739 F.
Audi A8 D2 Rear Seat Belt Buckles Pair PF. Donor Car: 1995 Audi A8 D2 PF 4197cc Quattro. The New and Used Audi Parts Specialist for all Audi models worldwide. It may fit others. 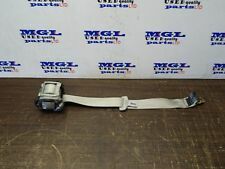 Audi Part Number: 4D0 857 739 G.
AUDI A3 S3 8P 3 DOOR FRONT PASSENGER SEAT BELT. HERE FOR SALE WE HA VE. 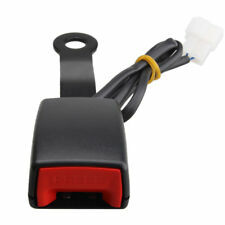 Audi A3 8L NS Left Rear Seat Belt Black. Donor Car: 2001 Audi A3 8L 5 door 1900cc. The New and Used Audi Parts Specialist for all Audi models worldwide. It may fit others. 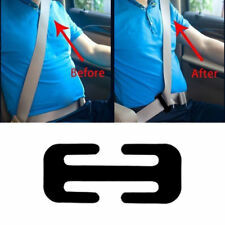 Audi Part Number: 8L4 857 805 A.
Audi A8 2017 - Onwards Seatbelt Passenger side Repair Service. Models : 2017 - Onwards. This service involves you sending your seatbelts in to us with your full details inside with the parts. Did you know we our warehouse is in Leicestershire, you can collect or we may be able to drop off?. Audi A8 D2 Rear NS Left Cream Seat Belt FL. Donor Car: 2001 Audi A8 D2 FL 4172cc Quattro. The New and Used Audi Parts Specialist for all Audi models worldwide. It may fit others. Donor Car Colour: Bodywork is Blue LZ5K. Donor Car: 2008 Audi A8 D3 FL 3000cc Quattro. The New and Used Audi Parts Specialist for all Audi models worldwide. It may fit others. Audi Part Number: 4E0 857 805 D. Generic Notes on this Part: Colour code is 5J1 Silver and Suits Interior Codes LU LX KK KU KE. Audi A8 D2 PF Seat Belt Buckle Rear Single. Donor Car: 1996 Audi A8 D2 PF 4200cc Quattro. The New and Used Audi Parts Specialist for all Audi models worldwide. It may fit others. Audi Part Number: 4D0 857 740 G.
REMOVED FROM 2000 AUDI A8 D2 3.7 QUATTRO AUTO WITH 106k MILES. OUR AIM IS TO MAKE SURE YOU ARE ALWAYS 100% HAPPY! WHAT YOU SEE IN THE PICTURES IS WHAT YOU WILL RECEIVE! IN GOOD, WORKING CONDITION AS SHOWN IN THE PICTURES ABOVE. Donor Car: 1998 Audi S8 D2 PF 4200cc Quattro Sport. The New and Used Audi Parts Specialist for all Audi models worldwide. It may fit others. Audi Part Number: Unknown. Don't Cover Glass we will do are very best to make sure the item. If a chassis number is specified, you can use this to check with your dealer whether the parts fit. Parts are fully functional but you should expect normal wear corresponding to the year and milage of the car the part has been removed from. Audi A8 D2 Front OS Right Seat Belt Black FL. Donor Car: 2000 Audi A8 D2 FL 4172cc Quattro. The New and Used Audi Parts Specialist for all Audi models worldwide. It may fit others. Audi Part Number: 4D0 857 706 AC. BREAKING FOR PARTS: AUDI A8 D3 4.0TDI 6 SPEED AUTO QUATTRO SALOON 2004. MAKE SURE THE PART NUMBER MATCH WITH YOUR OLD PART. All our parts are used second hand and off the shelf so may have storage marks on them. FOR YEARS: 1994, 1995, 1996, 1997, 1998, 1999, 2000, 2001, 2002, 2003 (1994). Audi Breakers. Seat Breakers. All A/C Compressors must have the A/C system flushed to remove any contaminants and the proper oils and Freon to be used. Removed from a 2006 Audi A8 3.0 230Bhp - 4 Door Saloon - Diesel - 6 Speed Automatic - Engine Code ASB. Seat Belt Front Reel LH. A8 2005 To 2010. “Great Bridge Parts” has high reputation for both quality and service and believes itself to be the market leader in vehicle recycling in West Midlands. 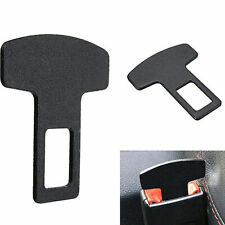 Audi A8 D3 Rear Single Buckle Black. Donor Car: 2003 Audi A8 D3 4200cc Quattro. The New and Used Audi Parts Specialist for all Audi models worldwide. Audi Part Number: 4E0 857 740. It may fit others. Donor Car: 2004 Audi A8 D3 3000cc. The New and Used Audi Parts Specialist for all Audi models worldwide. It may fit others. Audi Part Number: 4E2 857 705. REMOVED FROM 2000 AUDI A8 D2 3.7 QUATTRO AUTO WITH 106k MILES. WHAT YOU SEE IN THE PICTURES IS WHAT YOU WILL RECEIVE! OUR AIM IS TO MAKE SURE YOU ARE ALWAYS 100% HAPPY! IN GOOD, WORKING CONDITION AS SHOWN IN THE PICTURES ABOVE. BREAKING FOR PARTS: AUDI A8 D3 3.0TDI 6 SPEED AUTO QUATTRO SALOON 2005 233BHP 171KW. All our parts are used second hand and off the shelf so may have storage marks on them. PAINT CODE - LZ9W. MAKE SURE THE PART NUMBER MATCH WITH YOUR OLD PART.